Rip Current, Rip Tide or Undertow? We all love a little fun in the sun while on vacation at The Breakers. But just because we’re having fun, doesn’t mean there isn’t danger hiding in the waters. Thats right, I’m talking about rip currents. *dun dun dun* Just kidding, they’re not scary if you know how to handle them. Rip currents are something we in Florida have all heard about, especially living in a beach town. 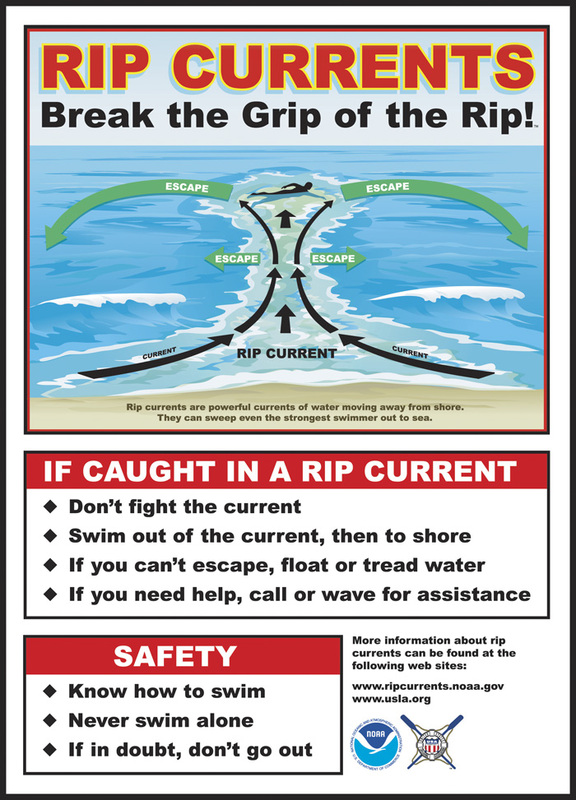 But for those who didn’t grow up in the sunshine state, you might be thinking to yourself, “What in the world is a rip current?” Rip currents are narrow sections of fast-moving water that occurs along the coast. These powerful currents can gain speed of up to 8 feet per second. Which is faster than the average Olympic swimmer. But what happens if you get stuck in this powerful current?